Keep reading to see the magic revealed for free! 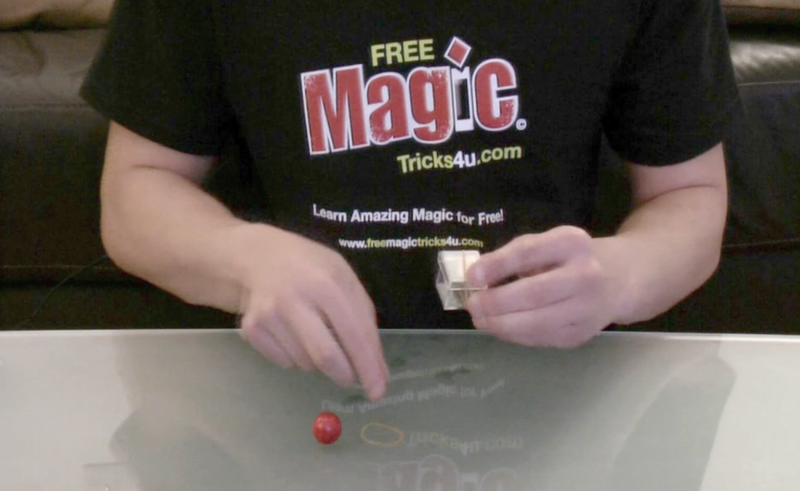 This is an extremely simple trick that never fails to impress. The setup is so easy, and can be repeated over and over again. ARE YOU READY TO HAVE SOME MAGIC REVEALED? LET'S GO! THE SECRET: You’ll need one clear plastic box with a lid, one ball, and 2 rubber bands. (pic 1) Now - I realize that's a bit niche - so see HERE. 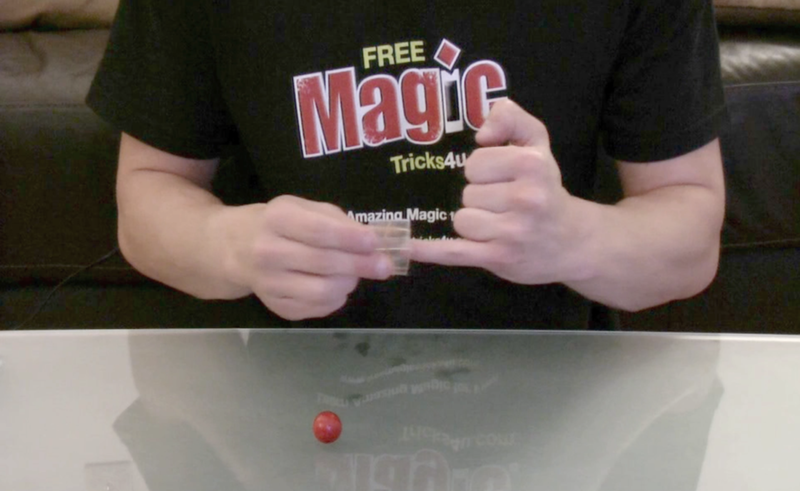 The beauty of this trick is that there are no gimmicked pieces…what you see is what you get! The real secret is in the positioning of the opening in the box. (pic 2) Rotate the box so that the opening is facing your chest. You can now place the lid on the box (pic 3), but note that this doesn’t actually close the box! It just appears that way and your spectators won’t know the difference. Put the rubber bands around the box. (pic 4) You’ll want them crossing the top of the box at right angles. This will give the illusion that the box is properly sealed and nothing can get in or out. Even with the rubber bands on, note that you can still push your finger into the secret opening you left for yourself (pic 5). In fact, the rubber band that crosses over this hole will actually help us a lot in the final step of this trick. REMEMBER: Keep the hidden opening of the box facing yourself at all times. Your audience can easily ruin your trick if you let them see the opening! With the ball on the table, tap the top of it with the box a few times (pic 6). Let the audience hear the sound. This will heighten the feeling that the ball should not be able to pass through. Let’s prove them wrong! After a few taps, move the box down quickly while simultaneously rotating the lid of the box toward yourself (pic 7). 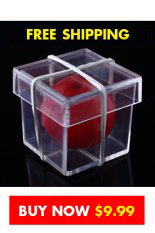 This makes the secret opening rotate to face the ball, and the ball can quickly slip inside, where the rubber band will hold it in place as you lift the box. While lifting the box from the table with the ball inside, quickly turn the box again so that the lid is once again on top. (pic 8) If done properly, it will be impossible to notice and your audience will see a clean passing of the ball through a solid box. Now you can take off the rubber bands, lid and remove the ball. Any of these objects can be passed around for inspection. You’ll come away clean every time! One more bit of amazing magic revealed! NEW! 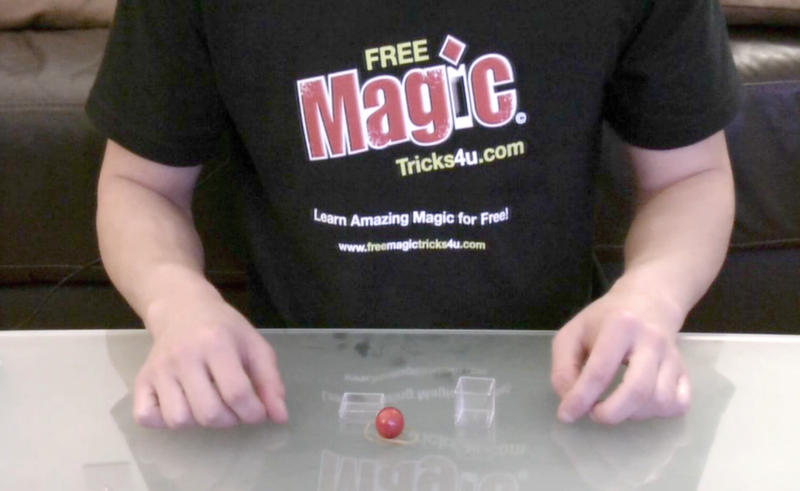 We now have a limited number of Ball Through Box tricks available in our new Magic Store. Delivery is FREE Worldwide. Get yours HERE.